The US activations have been decreasing as a percent of total iPhones sold. Before Verizon came online, the US share was decreasing (from an average of 45% share in 2008 to 33% in 2010). 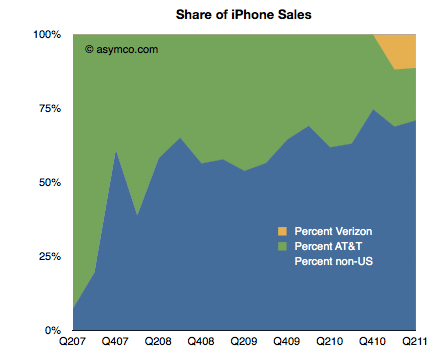 After Verizon, the US continues to slide to an average of 30% share (two quarters). After waiting nearly four years, American observers of the iPhone could perhaps be excused for their obsession on the impact of expirated AT&T exclusivity. But the real impact is that by the time it came, it was moot. It would be a mistake to look upon Q1 and Q2 and say that the explosive growth was due to Verizon or the end of US exclusivity. 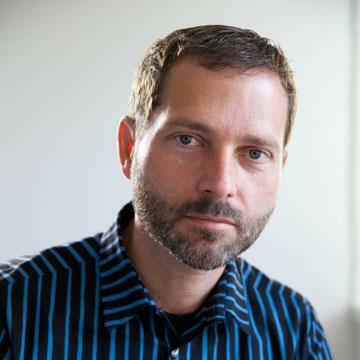 The global market is far greater than the US and the iPhone business has simply grown to reflect that. 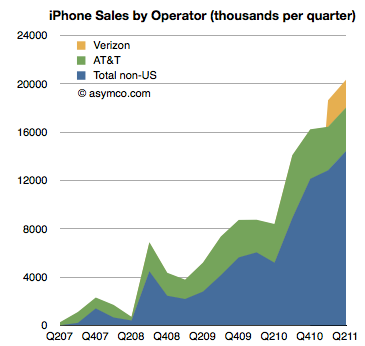 Non-US sales are total iPhones sold minus activations in the US. There is the possibility that some of the unactivated phones were activated on T-Mobile or that there is some delay between purchase, channel inventory and activation, but the time frame shown should smooth out any of the noise. 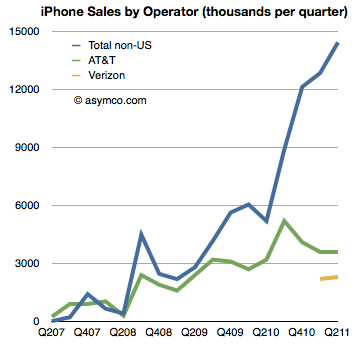 What we don’t know is what was the impact of iPhone sales start on Verizon’s other smartphone platforms. Unfortunately, Verizon does not report overall smartphone sales/activations so we can’t conclude directly that iPhone has slowed other platforms on Verizon. Some other data (NPD, Changewave, ComScore) do indicate some slowing in Android growth in the US but we have no definitive data to prove it.